We targetted the region just SE of Oklahoma City and basically headed from Kansas through to Ada in Oklahoma at the time of initiation:) A supercell developed explosively with CAPES of 5000 to 6500J/kg and moved towards McAlister. 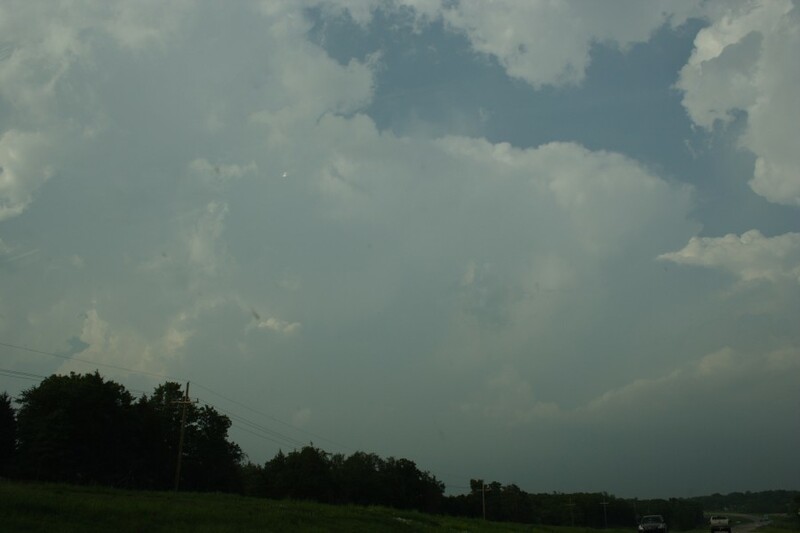 This storm became tornado warned with low level rotation. It had a large hook whilst in that area but it seems the tornado if one did occur was rainwrapped once again. It was surprising how quickly the supercells began to rotate. We had some good rotation of the cloud base and wall cloud though. Lightning was, as anticipated, very frequent with any of the storms that developed into an MSC during the evening. 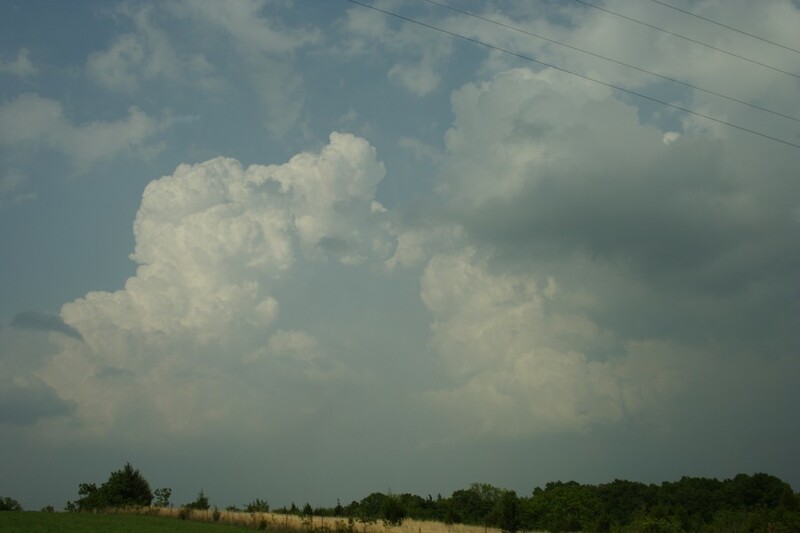 Just as an addition, included here are some of the pictures of the developing updrafts near Ada - the rest of the storm's base features are on video.